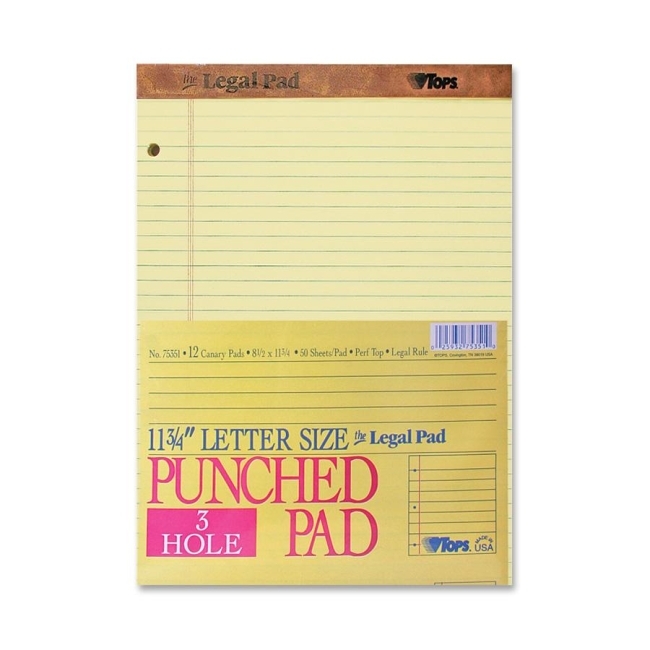 Legal pads feature leatherette binding at the top and a sturdy 30 point chipboard back. 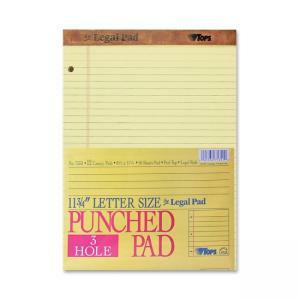 Each three-hole punched sheet is also legal-ruled and Letr-Trim perforated. Each pad contains 50 sheets of 16 lb. paper. $33Tops Perforated Traditional Grade Writing Pad - 8.5" x 11.75"
$50Tops Perforated Traditional Grade Writing Pad - Legal 8.50" x 14"
$32Tops Perforated Traditional Grade Writing Pad - 8.50" x 11.75"